It is one of the most common arguments made in favor of marijuana legalization: It will help end the disproportionate number of minorities arrested for pot offenses. 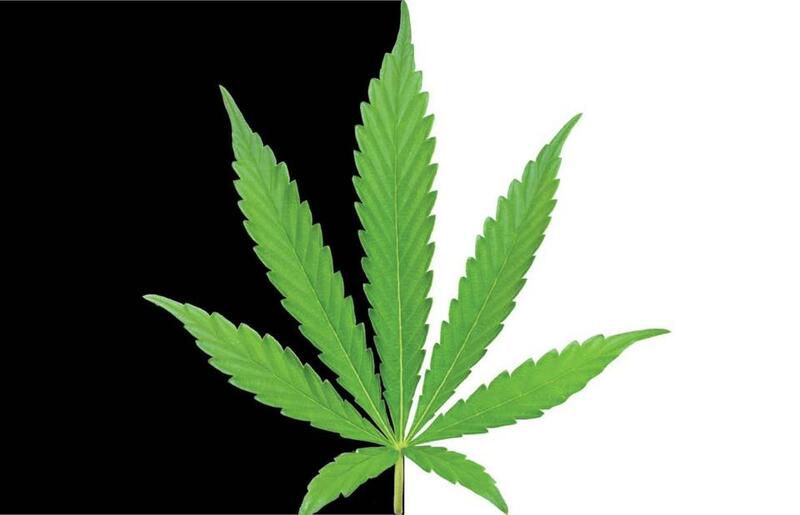 But data from other states show that, while legalization leads to a dramatic drop in arrests for marijuana offenses, there is still a substantial imbalance between blacks and whites. In Colorado and Washington, where people are still detained for crimes like consuming marijuana in public or selling the drug on the black market, arrest rates remain more than twice as high for blacks as for all others after legalization, according to a study by Mike Males, a senior researcher at the Center on Juvenile and Criminal Justice. Indeed, as advocates and researchers point out, blacks — like whites — benefit from the overall drop in marijuana arrests. Massachusetts already has some experience with marijuana liberalization. In 2008, voters decriminalized possession of small amounts of pot. And a report released by the ACLU at the press conference Thursday showed some of the same effects here as in states that have fully legalized the drug. Total marijuana arrests in Massachusetts dropped from 10,260 in 2008 to 1,647 in 2014, the study found. That’s a decline of 84 percent. And the drop in arrests for marijuana possession, in particular, was even more dramatic: 93 percent. Yet racial disparities in arrests remained. Statewide arrest rates for possession, for instance, were 3.3 times higher for blacks than for whites in 2014, the report found, even though research shows blacks and whites use marijuana at similar rates. Opponents of legalization, which will appear as Question 4 on the state ballot, took issue with the ACLU report Thursday. The data the organization used, they pointed out, included cases where people were arrested for both marijuana offenses and other, potentially more serious crimes that may have been responsible for attracting police attention. “This is a highly misleading report because the Yes on 4 campaign can’t tell you whether people were arrested for other serious crimes like assault, weapons possession, or impaired driving in conjunction with the marijuana charges,” said Corey Welford, a spokesman for the opposition group, the Campaign for a Safe and Healthy Massachusetts. But Jackson, the Boston city councilor, said the ACLU study pointed to a “two-tiered system.” “In the suburbs, marijuana crimes get fixed, they get taken care of,” he said, while in the inner city, young people caught with pot wind up stuck in the criminal justice system. Arrests can mean detention and court appearances. But state data suggest relatively few people have actually been convicted of marijuana offenses since decriminalization. The most recent report from the Massachusetts Sentencing Commission, covering the 2013 fiscal year, showed just 20 convictions for marijuana possession statewide, with only four people incarcerated. State officials caution that the data are incomplete. Some people, for instance, are convicted for multiple offenses. And the data may only capture cases where marijuana possession was the most serious offense. Still, opponents of legalization argue that the apparently small number of marijuana convictions since decriminalization undercuts one of the chief arguments for making the drug fully legal. The debate “is not about whether an adult can use marijuana in their own home — no one’s bothering them today,” said state Senator Jason Lewis, a Winchester Democrat and leading opponent of legalization, in a debate at the University of Massachusetts Boston this week. Shanel Lindsay, a black lawyer and legalization advocate, pushed back on that argument at the press conference Thursday. Her voice catching, she told the story of being pulled over for a routine traffic violation and then arrested when the police officer spotted a small amount of the drug in her purse. The experience, Lindsay suggested, helped convince her that marijuana in the age of decriminalization is a big problem — one that must be addressed with full legalization. But she did, in the end, avoid arraignment. She said she convinced the police to weigh the drug and they found it was below the 1-ounce decriminalization limit.